At the core of our identity is a strong belief in God, Jesus Christ, and the Holy Spirit, a belief that makes us Christians. We also identify ourselves as Anabaptist and Mennonite, terms which are described in more detail below. For a list of helpful Anabaptist Mennonite resources, including organizations we support, check out our Resources page. Mennonites are part of a broader group called Anabaptists. 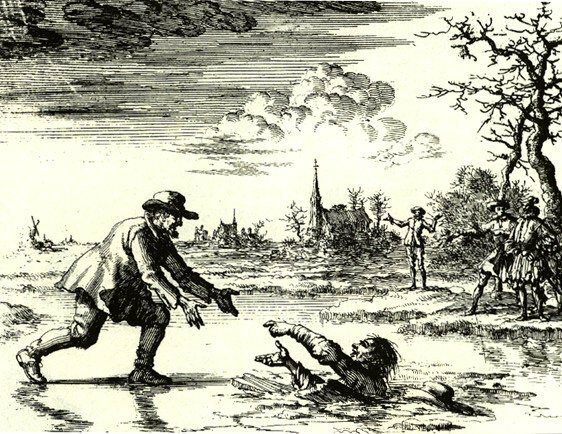 The term “Anabaptist” means “one who baptizes again.” From its origins in the Protestant Reformation of the 16th century, the term was applied to those who chose to be baptized upon their confession of faith. Anabaptists have many beliefs in common with other believers, but there are several core values outlined below that more clearly define what an Anabaptist believes. Dirk Willems, a 16th-century Anabaptist martyr, was imprisoned for his Anabaptist beliefs. He escaped, but when his pursuer broke through the ice, Willems turned around to rescue him. Willems was recaptured and later burned at the stake. Being a Christian means more than affirming a creed or having a spiritual experience. To be a Christian means to follow Jesus in daily life. Our attitudes and actions towards God, people, and the world are evidence that we have been transformed from an old way of life to a life that exemplifies Jesus. We interpret the Bible from a Christ-centered point of view with Jesus as the final authority for faith, life, and personal and social ethics. Because Christianity is primarily discipleship, we promise our loyalty to Jesus Christ, particularly when the teaching and spirit of Jesus conflicts with the government. Jesus wanted his followers to not only believe in him, but also to have a strong sense of belonging to each other. Being in community with each other means we need both forgiveness from God and forgiveness from each other. We discern Scripture within the context of a Spirit-guided community, giving and receiving counsel from each other. To that end, small face-to-face groups are central to the life of the church. Anabaptist Christians see the church as family. Being reconciled to God leads to transformed living, becoming more Christ-like in attitude and action. As Anabaptists, we are to help reconcile people to God, to each other, and to be ambassadors of reconciliation to the world. As ambassadors of reconciliation, we reject all forms of injustice and violence and encourage peaceful alternatives to war and other conflicts. 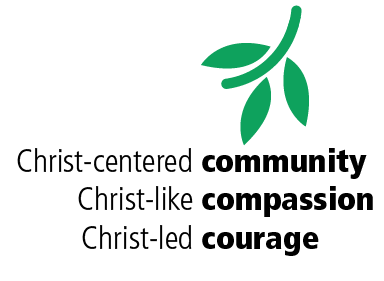 For an informative and concise booklet on these three values of an Anabaptist Christian, please read Palmer Becker’s What is An Anabaptist Christian?, available from MennoMedia or from our church office. The Mennonites are a group of Christian denominations with origins in Europe during the 16th-century Protestant Reformation. In the 1520s, a small group who had been meeting together for Bible study and prayer decided to form a church based upon their belief that adults should be baptized upon their confession of faith, hence the name “Anabaptist.” Renounced by other churches and the state for their refusal to fight, thousands of early Anabaptists were persecuted and martyred for their beliefs. Michael Sattler articulated the seven articles of Anabaptist faith and practice in the Schleitheim Confession, dated February 1527. 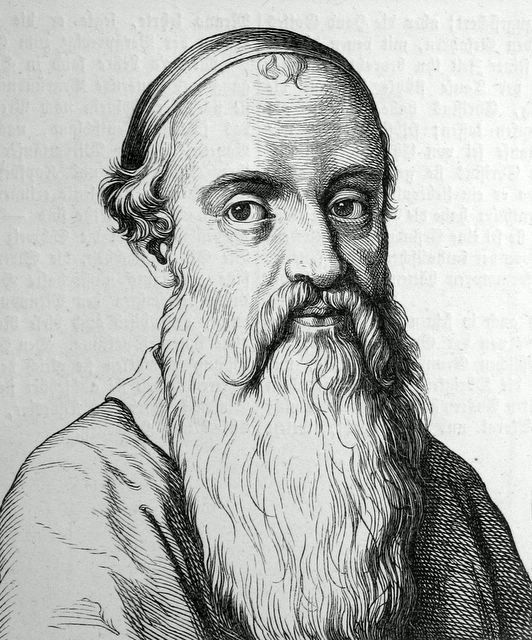 In 1536, a Catholic priest named Menno Simons joined the group of Anabaptists and became one of their leaders. Originally a nickname, the term “Mennonite” persisted as the name for this particular group of Anabaptists. Today, Mennonites number over one million and can be found in about 60 countries around the world. God is known to us as Father, Son and Holy Spirit, the Creator who seeks to restore fallen humanity by calling a people to be faithful in fellowship, worship, service and witness. 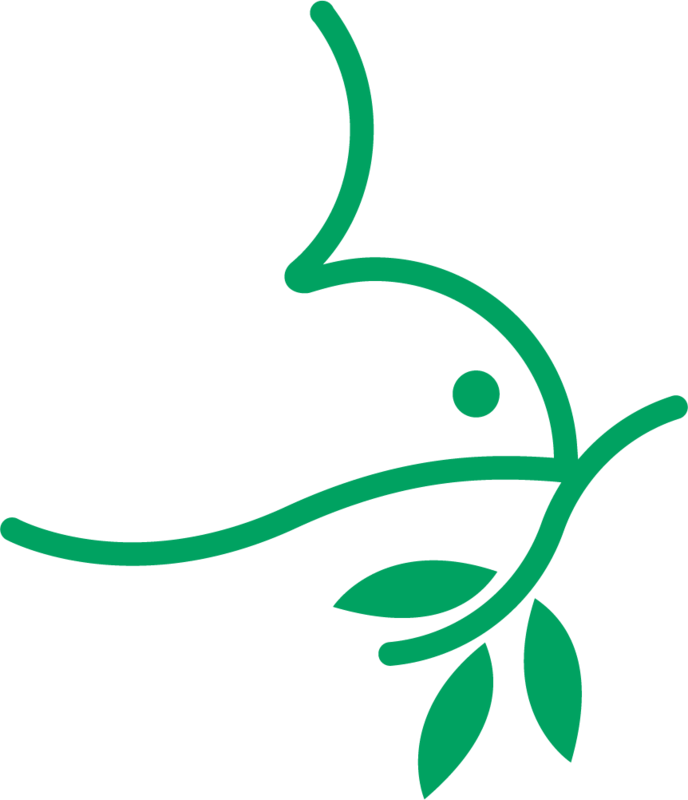 As Mennonites, we take a strong stance on living and encouraging a life of peace and the promotion of nonviolent resolutions to conflict. Mennonites believe that authentic theology must be lived theology, that beliefs and ethics must go together. We believe that we must share God’s love in word and deed, living out our faith by serving others and working toward peace. Because God loves us, we respond with faithful living. We strive to be faithful in fellowship, worship, service, and witness. The Spirit of Jesus empowers us to trust God in all areas of life so we become peacemakers who renounce violence, love our enemies, see justice and share our possessions with those in need. To live as a peacemaker often means making choices that are in opposition to prevailing culture. We teach peace to our children. Our youth work on preparing files for conscientious objector status. We commit ourselves to acting in nonviolent ways and helping others to do the same. We actively support and participate in service opportunities to improve people’ s lives. We make lifestyle choices that reflect our beliefs. We find ways to bring about peace with justice, on the local level and well as globally. We seek to live in the world without conforming to the powers of evil, witnessing to God’s grace by serving others, caring for creation and inviting all people to know Jesus as Savior and Lord. Serving others means to help others in need as an expression of our faith. On the international level, we make school kits and relief kits for MCC, and on the local level, we are involved with a children’s ministry with the First Baptist Church in Waukegan. This is but one example of many different service ministries we undertake. To learn more about Mennonites and Anabaptists, please visit the website Third Way. Third Way engages those who seek information online about Mennonites, and serves as a portal for those who seek to live out their Christian faith through Anabaptist values such as simple living, acts of service, and an emphasis on community, justice and peace. To be a Christ-centered community, we will be a committed, nurturing Anabaptist community which celebrates our unity in Christ in the midst of the diversity of God’s family. We will support each other in our spiritual, human and material needs. We will challenge each other to faithful living. We will maintain open communication with each other in a spirit of love and respect. We will commit to spiritual discipline to further our relationship with God. To understand what Christ-centered community is, we look toward the example of Jesus and the ways in which he fostered community among people and invited people to join him. There are numerous examples of how we are community for each other. To embody Christ-like compassion, we will bear witness to the kingdom of God on earth so that God’s healing and hope flow through us to the world. We will seek out and embrace opportunities to demonstrate caring concern, love and material support of all kinds to people near and far. In times of need, we will be ministers to each other in the church and on behalf of the church beyond its boundaries. To understand what Christ-like compassion is, we look toward the example of Jesus and the way he showed compassion to others. Jesus deliberately included all people and ministered to their needs. He acted out his faith in addition to praying for those around him. To live with Christ-led courage, we will follow in Jesus’ footsteps as He shapes our convictions and empowers us to live our His commands. We will be peacemakers in word and deed, finding and advocating nonviolent resolution to conflicts. We will live in an environmentally responsible and economically just manner to honor and sustain all of God’s creation. We will live as true disciples, conforming to Christ, set apart from the world. To understand what Christ-led courage is, we look toward the example of Jesus and the way he demonstrated courage in the face of temptation and societal conventions by acting on his convictions. Some of the ways we show courage are a testament to our convictions. As an Anabaptist community, we seek to follow Jesus, live simply, serve others and practice peace in everything we do. Attempting to live out these values naturally brings us to positions on contemporary cultural, political and ethical issues. While valuing the presence of different voices, understandings and leadings in our community, we seek consensus on such issues through communal discernment. Here are some statements that we have collectively agreed to support. In the name of Christ, we welcome you to our community and invite you to journey with us as we seek to follow Jesus together. As an Anabaptist congregation, we believe the essence of the Bible is embodied in Jesus Christ, the living, acting Word of God, and Christ is our authority. Christ calls us to love one another unconditionally just as Christ loves us: without judgment, condemnation, or conformity. We believe that practicing unconditional love calls us to welcome those who have been marginalized, and we are especially concerned for the protection of the most vulnerable in all walks of life. All who wish to meet the Living Christ are welcome to worship with us and participate fully in congregational life. 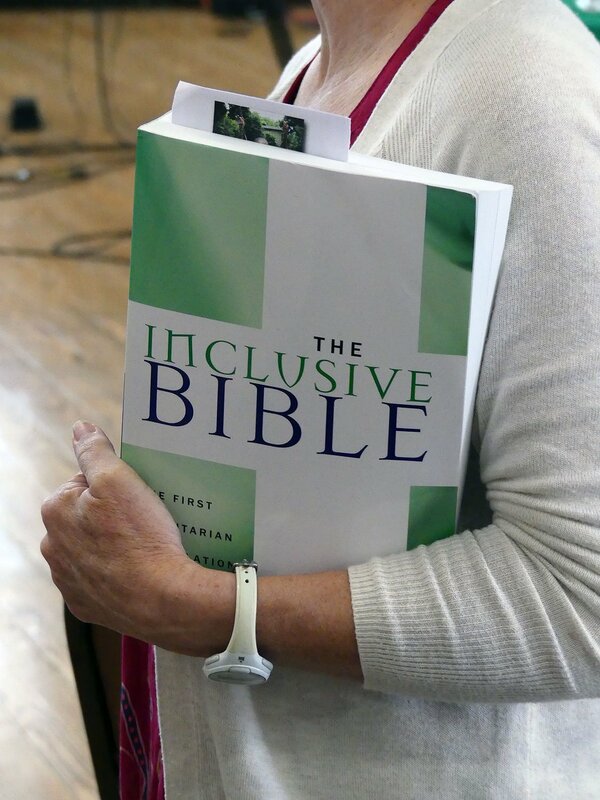 As a congregation of God’s people, we desire to reflect the diversity of the human family, including the diversity of sexual orientation, gender identity, race, ethnicity, age, economic status, marital status, physical and mental ability, and education. We therefore have chosen to become a welcoming and affirming congregation affiliated with the Supportive Communities Network of the Brethren Mennonite Council for Lesbian, Gay, Bisexual, and Transgender Interests. We trust that following Christ faithfully—while patiently agreeing and disagreeing in love—will call for ongoing communal discernment and self-reflection that urges us to grow beyond the consumerism, militarism, racism, sexism, and other destructive forces of our culture that marginalize people. We welcome you to experience God’s love and be a light in the world with us. Recent public people have made statements that exhibit a high degree of prejudice and abuse against Muslims and people of Islamic faith. We at North Suburban Mennonite Church reject all such statements. We stand in solidarity with our Muslim and Islamic friends and neighbors. From the story of creation to Jesus’ resurrection and beyond, the stories of the Bible continue to teach and inspire us. To make the Bible more accessible, we have compiled a list of key Bible stories with links to passages on the Bible Gateway website. These stories combine to give us a window into the the ongoing story of God and God’s kingdom.